Pastor, you may have a large crowd of attendees on Sunday morning—and still not have a congregation. The fact is that the crowd must become a church. People must be assimilated. Assimilation is simply the task of moving people from an awareness of your church, to attendance at your church and then to active membership in your church. The community talks about "that church." The crowd talks about "this church." The congregation talks about "our church." Members have a sense of ownership. They are contributors, not just consumers. Because the incorporation of new members into your church does not happen automatically, you have to develop a system and structure to assimilate and keep the people you reach. At Saddleback, our system is composed of two parts. What does God expect from members of His church? What do we expect from our members right now? What kind of people already make up our congregation? How will that change in the next five to 10 years? What do our members value? What are new members' greatest needs? What are our long-term members' greatest needs? How can we make membership more meaningful? How can we ensure that members feel loved and cared for? What do we owe our members? What resources or services could we offer our members? How could we add value to what we already offer? Because your congregation has a unique history, culture and growth rate, these questions are important. The answers will determine the assimilation plan that's best for your situation. But you're not the only one with questions. Prospective members have their own set! 1. Do I fit here? This is the question of acceptance. This question is best answered by establishing affinity groups within your church so that people with similar ages, interests, problems or backgrounds can find and relate to each other. Everyone needs a niche, and small groups play a crucial role in meeting this need. You must show people that you have a place for them. 2. Does anyone want to know me? This is the question of friendship. You can answer this question by creating opportunities for people to develop relationships within your congregation. There are an unlimited number of ways you can do this, but it takes planning. Remember, people are not looking for a friendly church as much as they are looking for friends. People deserve individual attention. This is the question of value. People want to make contributions with their lives. They want their lives to count. They want to feel that they matter. When you can show people that they can make a difference with their gifts and talents by joining your church, they will want to be involved. Position your church as a creative place that needs the expression of all sorts of talents and abilities, not just singers, ushers and Sunday school teachers. 4. What is the advantage of joining? This is the question of benefit. You must be able to clearly and concisely explain the reasons and benefits of membership. Explain the biblical, practical and personal reasons for membership. 5. What is required of members? This is the question of expectations. You must be able to explain the responsibilities of membership as clearly as you state its benefits. People have a right to know what is expected of them before they join. These five unspoken questions lead to the second part of our assimilation system—CLASS. In my opinion, the membership class is the most important class in your church. A strong membership class will build a strong congregation. A weak membership class will build a weak congregation. But keep in mind that a "strong" class doesn't necessarily mean a "long" class. Class 101 is only four hours long and is taught all on one day, but it produces a high level of commitment in our membership. Those who choose to join our church know exactly what will be expected of them as members. The strength of a membership class is determined by its content and call for commitment, not its length. Some churches have a membership class, but they cover the wrong material in it. They fill the class with material on spiritual growth or basic doctrine. These subjects are vitally important, but they are more appropriately covered in classes that are separate from your membership class (which is why we offer Classes 201 through 401). What are the purposes of the church? What are the vision and strategy of this church? 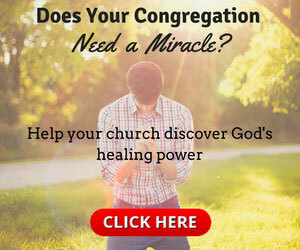 How is the church organized? How can I get involved in ministry? What do I do next once I become a member? If your church targets the unchurched, you need to include a clear explanation of salvation in your membership class, because you will have many people who want to join your church who aren't even believers yet! We always explain that trusting Christ is the first requirement for membership, and we have people saved in every membership class. Keep your membership class interesting and interactive by using video clips, a notebook with fill-in curriculum, small group interaction and a good meal together. Be sure to include a lot of stories that personalize the history, values and direction of your church. At Saddleback, we even include a quiz at the end of each class, testing the participants on how well they can state the purposes of our church and other important concepts. If possible, offer three versions of your membership class: a children's version for older elementary kids, a youth version for junior high and high school and the adult membership class. Make completion of your membership class a requirement for membership. People who are uninterested or unwilling to learn your church's purposes, strategy and the meaning of membership are failing to demonstrate the kind of commitment that membership implies. If they don't even care enough to understand the responsibilities of membership, they cannot be expected to fulfill them after joining. Membership is an act of commitment. The way you motivate people to make that commitment is to show them, value-for-value, the benefits they will gain in return. When people understand and value membership, they will get excited about it—and what was once just a crowd will turn into a church.